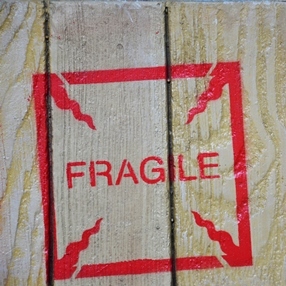 What is the major reason to look for professional art crate and shipping companies? Right! It is always the desire to protect valuable and priceless items, like paintings, sculptures, family heirlooms, collectible glassware, and other fragile and delicate objects. After all, only fine art shipping specialists can provide art and antiques with the protection they deserve, no matter whether it comes to the local, national, or international transportation. Whether you live in New York, London, or any other city that is full of art, you know that there are many trusted art crate and shipping companies offering high-quality services for any need. However, not all of them are the same. For example, some companies may operate only within the country or have certain size and weight limitations, and some packing & shipping services are simply too expensive for an average customer. Along with that, there are also art crate and shipping companies that can meet any need, and Fine Art Shippers is proud to be one of them. First of all, it is important to note that while Fine Art Shippers is a New York-based company, we have an official representative office in London. Plus, we have established relationships with many trustworthy art logistics companies around the globe, including Eric Art Services with offices throughout China. This means that Fine Art Shippers successfully operates not only within the United States but also all over the world. Our international art shipping services are professional and market competitive, making them a preferred option for many art businesses and individuals. Secondly, we do not have any size and weight limitations, unlike many other art crate and shipping companies. Fine Art Shippers can handle absolutely any work of art, be it a framed oil painting or a huge art installation. We are also proficient in shipping large and heavy sculptures and statues made of wood, metal, glass, and stone both nationally and internationally. In other words, no job is too complicated or challenging for our team of trained art shippers! Finally, all services that we offer at Fine Art Shippers are very reasonably priced, making them affordable for an average customer. However, do not take our word for it! Request a free shipping quote and see for yourself! Now that you know why Fine Art Shippers is one of the best art crate and shipping companies, all you need to do is to contact our team! We will be happy to help!